Since Jim Dunn, owner of J. R. Dunn Jewelers, was a boy he was an animal lover, so this partnership is a perfect fit for the Dunn's. J. R. Dunn Jewelers and the Humane Society of Broward County have partnered to help find a home each week for the Diamond in the Ruff! For the next 52 weeks J. R. Dunn Jewelers will be helping to create true love by sponsoring pet adoptions so that more dogs and cats can find happy homes. For 52 pets, this means J. R. Dunn will pay for the entire adoption fee for the Diamond in the Ruff pet of the week. Meet Little Skye, this weeks Diamond in the Ruff. 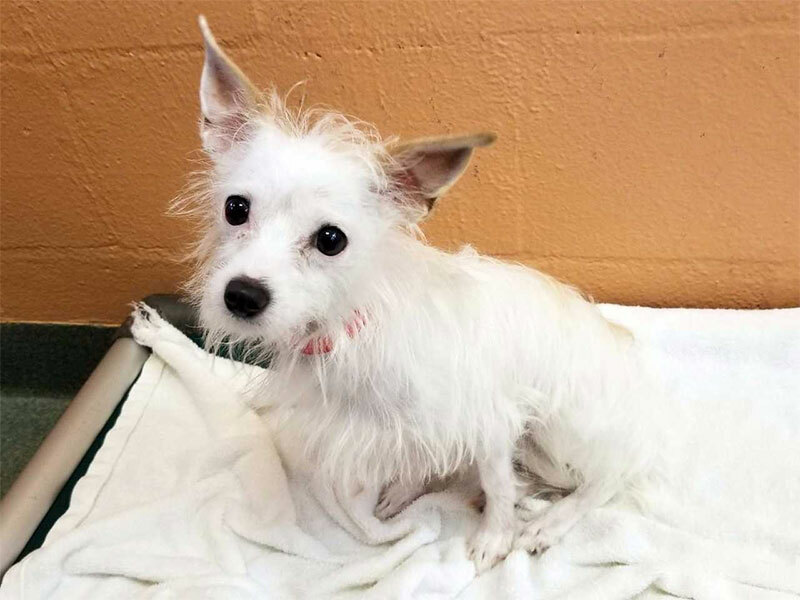 This is our SMALLEST “Diamond in the Ruff” yet… Little Skye (ID 576604) is a 1-year-old #Chihuahua / #Maltese mix who weighs 6lbs! She may be tiny, but you know what they say… great things come in small packages. Skye is very social and friendly with people of all ages. She even knows some basic commands. Sadly her owner moved away and couldn’t keep her, but thanks to JR Dunn, her adoption fee is sponsored – so a new home should be coming her way soon!